Written by Ron Pace Want a happy dog that can truly be a member of the family? 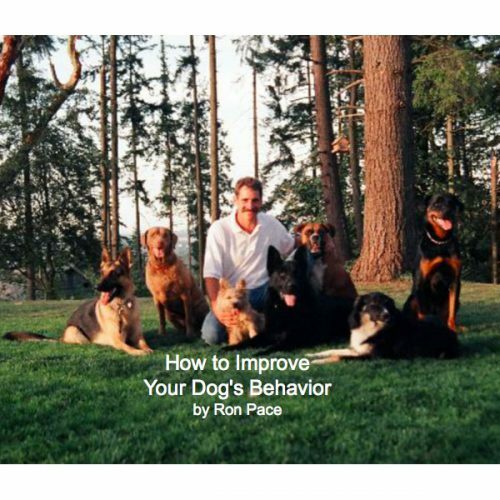 In just 3 to 4 weeks you can establish a valuable lifetime connection with your dog, using Ron Pace's proven training method-a progressive series of 10 short lessons for you and your dog. This book has over 150 color photo's to help guide you step by step. No Return No Refund Policy. 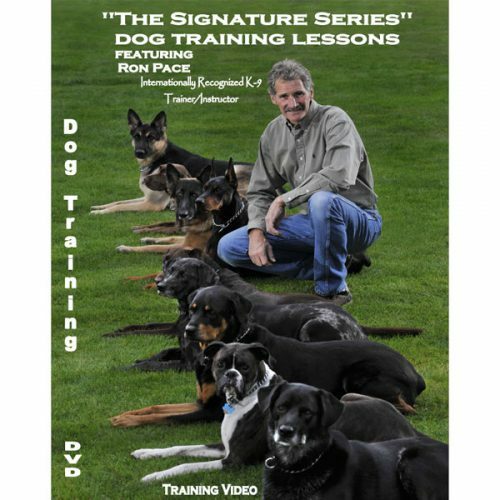 "The Signature Series" Dog Training Lessons Description: This DVD is over four hours of Ron Pace’s seminar “Signature Series” ten lessons. He shows you what you can do with a ten week old puppy and then goes through all ten lessons with several adult dog’s all in one day. Stay home and enjoy watching his valuable training program anytime. 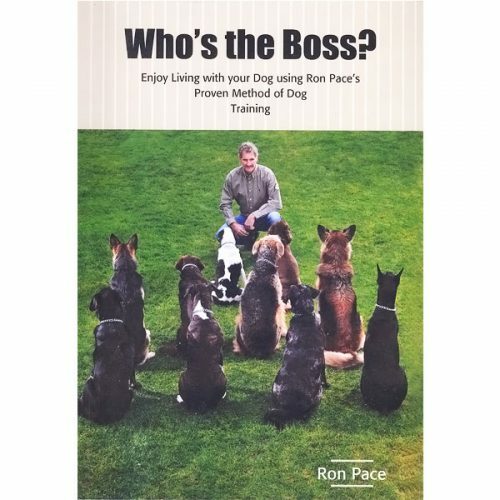 Featuring master dog trainer and author Ron Pace. In this video, Ron will do temperament testing on a litter of 7 1/2 week old German Shepherd Puppies. This 40 minute DVD is our 10 ½ hour signature series lessons. Ron demonstrates these lessons to help take you through the basics of laying a foundation with your canines. We use this video with each of our new clients that start our training program. It helps them to review and prepare for their lessons.